Implants make it possible for denture wearers to have a level of comfort and security never before possible. For hundreds of years full dentures have been a dental solution for totally toothless patients. Tales of George Washington include details of how he suffered with his poor fitting false teeth. If you view the countless portraits of our first president, you’ll see how his face changed over the years as he was fitted with innumerable sets of dentures in his quest for comfort. Dentistry has come a long way since George Washington’s day. Today implant-supported dentures offer patients a kind of comfort and security that George could only dream about. Dentures are among the most common restorative procedures that dentists use to replace missing teeth. Full dentures, or complete dentures as they are commonly referred to, replace not only missing teeth but also missing gum tissue and lost bone. What holds our natural teeth in place is that bone and gum tissue. It also serves as support for our lips, cheeks, and the normal facial contours associated with a pleasant appearance. But a big problem with traditional dentures is that they rest on the remaining gum tissue. And in the case of upper dentures, they also rest on the palate. Suction is created by the fit of dentures in the mouth and is what holds them in place. However, all traditional dentures move around in the mouth, particularly lower dentures which don’t have the surface area coverage of upper dentures. Furthermore, if the remaining gum tissue and underlying bone upon which the denture rests is inadequate to comfortably and securely support it, it will move around even more excessively during eating, speaking and swallowing. This can be a great source of physical and emotional distress for many patients. Visit your local pharmacy and you’ll find a veritable plethora of denture adhesives on the shelves. It is testimony to the need for more securely held dentures. Implant-supported dentures are an elegant solution to the physical and emotional distress that cause by traditional dentures. 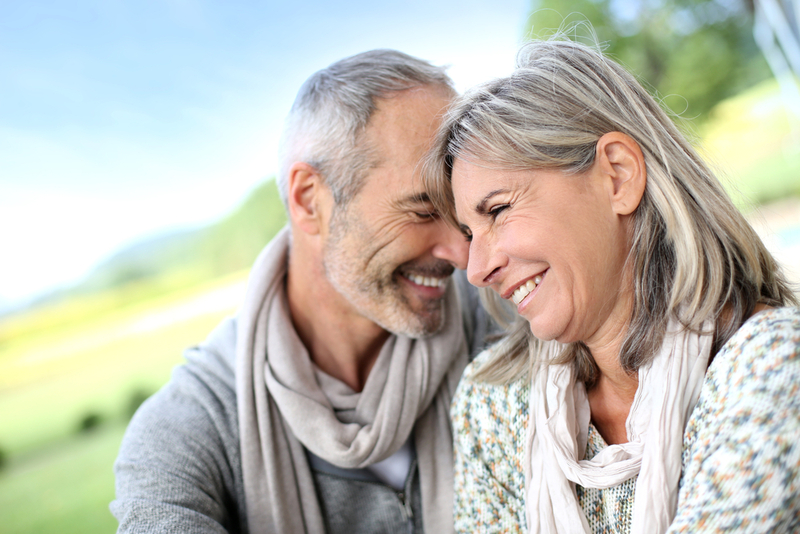 With two or more strategically placed dental implants, the denture can be stabilized and give patients increased chewing efficiency, improved comfort, and a new and wonderful sense of security. Because implant-supported dentures (also called overdentures) snap securely onto attachments held by the implants, there is no longer a need to cover the palate. Implant-supported dentures enhance the quality of life for long-time denture wearers. And they are a superior choice for patients dealing with the prospect of losing their teeth. If you would like to schedule a consultation to discuss implant-supported dentures, please feel free to call my office at 212-685-3040.